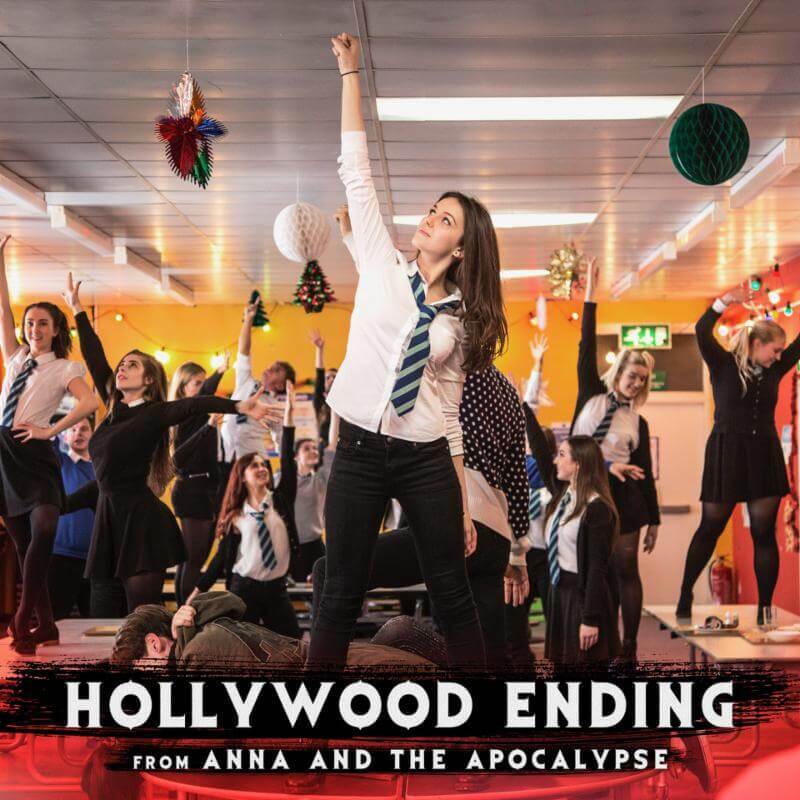 Interscope Records releases “Hollywood Ending” — the first song from the official soundtrack to the upcoming Orion Pictures film Anna and The Apocalypse which will be released in theaters this holiday season — today via all digital partners HERE. Watch a clip of “Hollywood Ending” HERE. Described as “Shaun of the Dead meets La La Land,” Anna and The Apocalypse follows Anna (Ella Hunt), whose life is dominated by the typical concerns of her youthful peers until the Christmas season in her small British town brings not Santa but an outbreak of the Undead. A zombie apocalypse threatens the sleepy town, forcing Anna and her high school friends to fight, sing, and slash their way to survival with a fast-spreading undead horde in relentless pursuit. The music for Anna and the Apocalypse combines Hart and Reilly’s love of film with their diverse indie background. Alongside his band The Lonesome Fire, Hart has worked with Coldplay/Morrissey producer Danton Supple and Mogwai/Arab Strap’s Paul Savage. In 2014 he was nominated for the Scottish Album Of The Year Award, which was followed by a six-night residency performing on CBS’ The Late Late Show in the U.S. His most recent record, Swithering, was released late 2016. Reilly received a Scottish BAFTA New Talent nomination for his composition work in 2016. He first rose to prominence after winning the Channel 4 TV show Orange Unsigned. Shortly after, Reilly’s first single “Gimme a Call” reached No. 14 on the UK Singles Chart. The cast is scheduled to perform at the 4th annual Elsie Fest on October 7th at SummerStage Central Park in New York City. Elsie Fest is a one-day outdoor music festival that celebrates the stars and songs from the stage and screen.